Blowing the Dust Off: Laura Wilkinson’s Public Battles, Private Wars. It’s Day 1 of my ‘Blowing the Dust Off’ series of blogs. Over the next ten days, I’ll be hosting 10 different authors; each will tell us a little about one of their novels. Unlike my usual guests posts, they won’t be promoting a new work of fiction, but giving us a timely reminder of some of the treasures they have produced in the past. 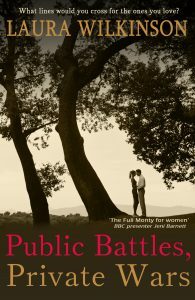 Today the lovely Laura Wilkinson is kicking off the series for us by reminding us about her excellent novel, Public Battles, Private Wars. 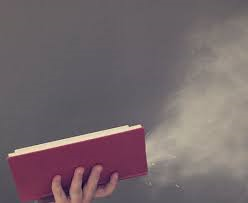 Thanks so much for inviting me to be the inaugural guest of your new series: Blowing the Dust Off, Jenny. What an honour and what a great idea for a series. Today, I’m going to talk about Public Battles, Private Wars, my ‘miners’ strike’ novel. I use quotation marks because although there was a lot of focus on the strike around publication back in 2014 (it was the 30 year anniversary of the dispute), in truth the conflict forms the backdrop – it’s primarily a story about love and friendship – of both the toxic variety and the genuine, wonderful kind. 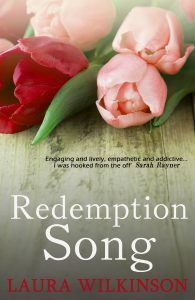 It’s worth pointing out here that the novel is just 99p for Kindle at the moment – as is Redemption Song, for a limited time. Like a lot of writers I’m neither a fully-paid-up member of the planner nor pantster clubs; I fall somewhere in between. I begin any story with a clear(ish) vision of the story arc, with a beginning and a sense of where I’d like my characters to end up. Research is done on the hoof, as and when I feel the need. Lazy? Maybe. But it works for me and research can become a distraction, something which gets in the way of writing. A master of displacement activity, I had to remind myself of this constantly while working on Public Battles, Private Wars, for there is stacks of information on the subject. The novel is set against the backdrop of the 1984/85 Miners’ Strike and there is a wealth of writing on the subject, though surprisingly little fiction (I found only three novels back in 2012 when I began writing) and genuine poverty when it comes to fictional representations of women’s role in the struggle. The origins of this novel lie in a photograph I came across on the internet while researching another story idea set in the 80s – a story that has since gone on to become my latest novel – Skin Deep. It was an image of a group of women marching down a suburban street; women who looked powerful, in control, purposeful; not hapless victims of a political struggle to smash the unions led by a woman in Westminster. I am old enough to recall this landmark strike in modern history and as a former steel worker’s daughter I have some understanding of strife and hardship as a result of strike and redundancy (Thatcher crushed the steel industry before turning on coal), but I’m not from a mining community, I wasn’t a political animal as a girl, though my mother and sister were. If I was to do the story, and the real women of the conflict, justice, I needed to do some research. Because I find images inspirational, I began by looking at photographs from the era and the women’s groups that sprang up to rally round the miners. Images of women, young and old, huddled over industrial sized cookers, preparing meals for pickets and hungry children. Women in town halls cheering on the likes of Tony Benn (RIP), Arthur Scargill and Bruce Kent. Women marching next to their men, shoulder to shoulder on the picket lines. Women shielding their faces from oncoming policemen on horseback. Shocking images. Then I began to read, to gather the facts. I read lots of books, articles, diaries and accounts. I spoke to people – experts and those who lived through it – about the profound effects that long, hard year had on their lives. It was a terrible time, no mistaking. There was extreme hardship and, ultimately, defeat. But, out of those desperate times came some good. Quite a lot for many women, as it happens. Alongside specific fact gathering about the strike, I imbued myself with a sense of the period – fashion, music, popular books, TV shows, the mores of the time. I looked at clips on YouTube and watched films like Billy Eliot and This is England. My central character likes to bake cakes. I am a domestic disaster, with a particular talent for spoiling even the most straightforward of dishes. I read up on baking and even tried some recipes – with laughable results. There is another strand in Public Battles, Private Wars, that required research, and I have to be careful how much I say because of spoilers, but my leading man is a former soldier who served during the Falklands War. Ignorant in the extreme about military matters, I needed to look into this too if this particular plot strand was to feel authentic and my character be three dimensional. Again, I read articles and reports online, and I spoke with a number of particularly lovely officers at the MOD. Special mention has to go to a former soldier, John Marham, who now works for a military charity who gave up a morning to meet with me and talk about his experiences of army life. He was generous with his knowledge and personal stories, talking me through everything from training to the sound a magazine makes when loaded into the gun barrel. Now, I can’t recall how much time I spent researching. Probably not as long as I’ve made it sound. I was greedy for the information – it was fascinating – and so I devoured it quickly. 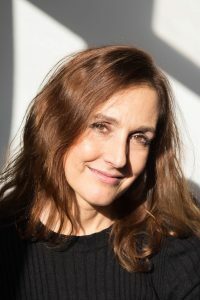 The novel took a year to write – the same timescale as the strike – and once I had all this information rammed into my brain, I had to forget most of it. For here’s the thing: in fiction, you must wear your research lightly. It must never feel didactic, it must never get in the way of the story or the characters, and this felt especially important to me given that there is a wealth of non-fiction. If people want facts there are gazillions of sources. If you want to live the life vicarious of a downtrodden young women who finds the best of herself during strange and difficult times then this novel might be for you. Miner’s wife Mandy is stuck in a rut. Her future looks set and she wants more. But Mandy can’t do anything other than bake and raise her four children. Husband Rob is a good looking drinker, content to spend his days in the small town where they live. When a childhood friend – beautiful, clever Ruth – and her Falklands war hero husband, Dan, return to town, their homecoming is shrouded in mystery. Mandy looks to Ruth for inspiration, but Ruth isn’t all she appears. Conflict with the Coal Board turns into war and the men come out on strike. The community and its way of life is threatened. Mandy abandons dreams of liberation from the kitchen sink and joins a support group. As the strike rumbles on, relationships are pushed to the brink, and Mandy finds out who her true friends are. A story of love, betrayal, and cakes, Public Battles, Private Wars follows one woman’s journey of discovery and a community fighting for survival. ‘I absolutely loved it’ Bookaholic Holly – in Top Ten books of 2014 for Bookaholic Confessions. Read the full review here. ‘A compelling story with some great characters. Public Battlers, Private Wars is a story that looks at friendships, community, love and jealousy.’ Random Things Through my Letterbox. Full review here. ‘A novel with a big heart’ Pen & Paper. Full review here. Many thanks for starting the series in such excellent style Laura. Come back tomorrow to find out what crime writer Nell Peters is digging out of her archive. 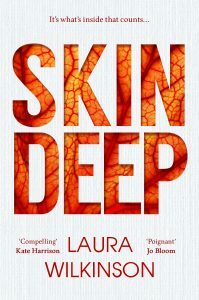 Having loved Skin Deep, I must dig Redmption Song out of teh TBR – it’s been there way too long! Great post lasies.